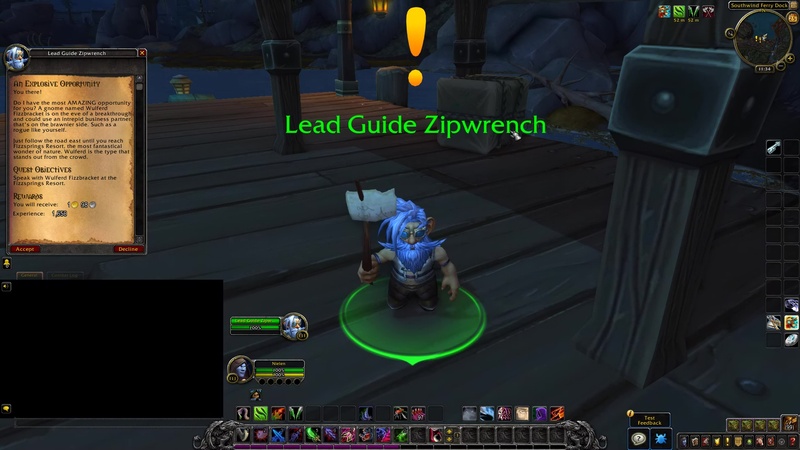 Lead Guide Zipwrench: You there! Do I have the most AMAZING opportunity for you? A gnome named Wulferd Fizzbracket is on the eve of a breakthrough and could use an intrepid business partner that’s on the brawnier side. Such as a (class) like yourself. Just follow the road east until you reach Fizzsprings Resort, the most fantastical wonder of nature. Wulferd is the type that stands out from the crowd. Speak with Wulferd Fizzbracket at the Fizzsprings Resort. TIP: Go up the hill, and straight south, then pass through the rocks to reach the Fizzsprings Resort. Wulferd Fizzbracket: Give me a few months, and I’ll have this place whipped up into a six star resort in no time! 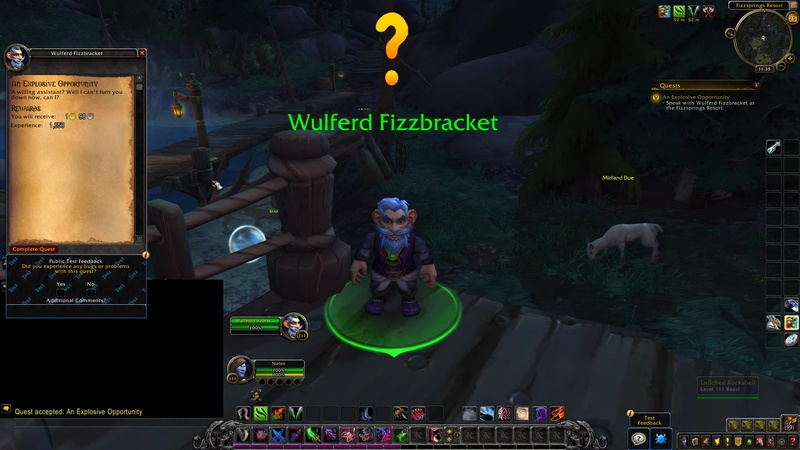 Wulferd Fizzbracket: A willing assistant? Well I can’t turn you down now, can I?